Vote ‘Divergent’ for best book at the KCA’s! As you read, one of our favorite books ever is nominated for this year’s Kids Choice Awards! So, as we’re all kids inside, it’s fair enough for us to support ‘Divergent’ and you can do the same! The show, hosted by Nick Jonas, will air on April’s 1st, 2015. Vote here. Categories: Divergent, Divergent News | Tags: Divergent, Divergent news | Permalink. TNT Acquires Television rights to ‘Divergent’ and ‘The Hunger Games’! Variety is reporting that TNT has officially acquired the television rights to Divergent and The Hunger Games. The deal also includes network premiere windows for “Divergent” and sequel “Insurgent,” which will hit theaters in March 2015, along with two further follow-up films, making TNT the first basic cable network with access to all four “Divergent” pics at the same time. Additionally, the pact includes telecast rights to “The Hunger Games” and sequel “Catching Fire.” “The Hunger Games” will air on TNT in winter 2015, with “Catching Fire” following in winter 2016, “Mockingjay – Part 1″ airing in 2017, and “Part 2″ in 2018. 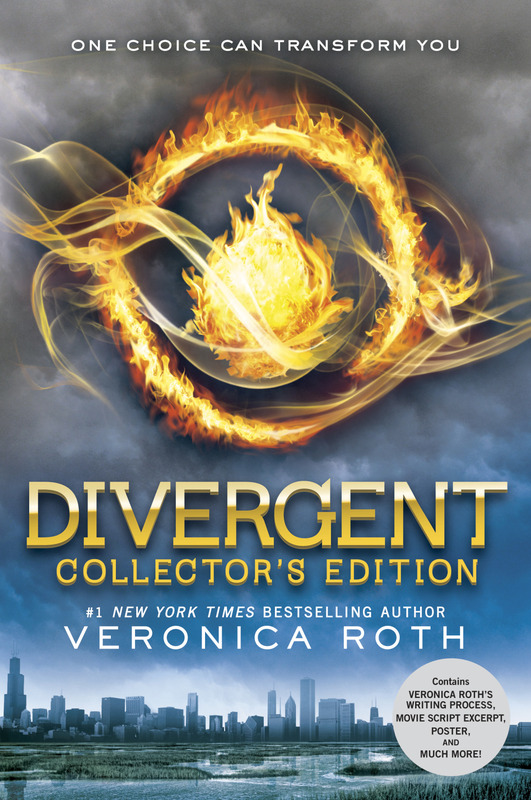 ‘Divergent Collector’s Edition’ is already available for pre-order in Amazon, HarperCollins and Barnes & Noble. It will be released on October 21st. What do you think? Share your excitement in the comments! Categories: Divergent, Divergent News | Permalink. 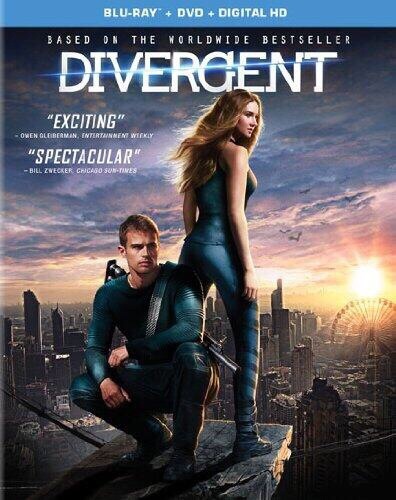 Review: Divergent DVD Special Features! I was one of the lucky few that received a Divergent DVD early for review. Let’s start with my favorite thing about the special features Deleted Scenes. The deleted scenes were really cool to see. Even though there are not a lot of them, there are enough to make us happy. We get a Tris and Al moment, butter knife scene with Edward and Peter, a Peter and Four scene and the best thing ever a Dauntless cake moment between Tris and her mom which is extremely amazing. The rest of the special features are pretty amazing. They feature commentary from director Neil Burger, Lucy Fisher and Douglas Wick. 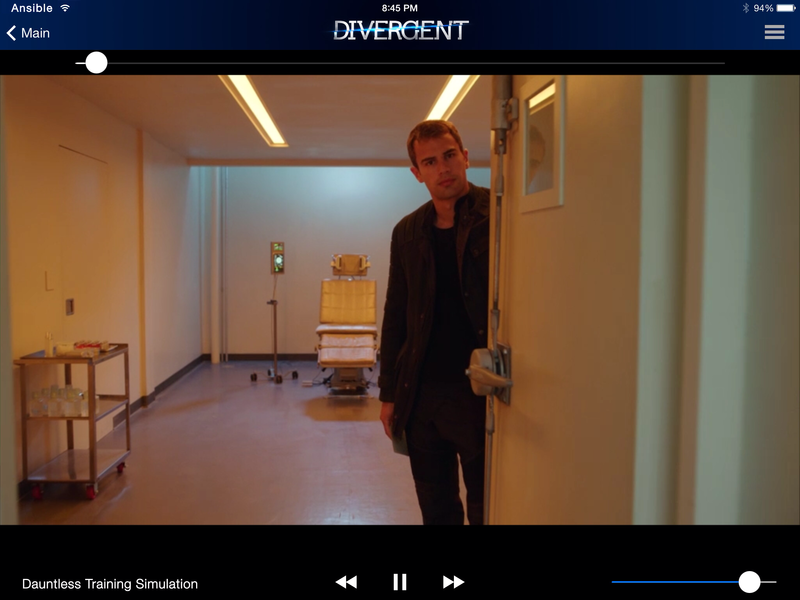 Bringing Divergent to Life also has some great features, plus the amazing Beating Heart video by Ellie Goulding. It is always a great thing to hear from someone other than the directors or actors as far as commentary goes. That is what we get with these special features. Lucy and Doug talk lots of things from Ansel Elgort to Shailene Woodley. Did you know that Tris was in every single scene. We already know that this cast became a family while filming and try give us a little more insight on that. Beating Heart Music Video: Ellie Goulding music video for the Divergent movie/soundtrack is also featured on the DVD. Neil Burger is of course the amazing director that brought Divergent to life. During his commentary Neil talks about everything from the zip-lining to the Ferris wheel scene. You can truly tell that he is connected to this film whole heartedly. The passion is obvious. Seriously guys the special features are so amazing, regardless if you get the DVD or Blu-ray you are truly in for a treat with the Divergent DVD. The DVD also comes with a set of Divergent tattoos that features all of the faction symbols and Tris’ bird tattoos. Be sure to pick up Divergent on DVD/Blu-Ray tomorrow, August 5th. Watch: ‘Divergent’ Fans Can Finally See the Knife Attack Scene! One of the most anticipated scenes from Divergent was when Edward got stabbed in the eye by Peter. It was cut from the movie. Well guess what Initiates? You can finally watch it! CLICK HERE TO WATCH EDWARD KNIFE SCENE! The scene begins with Tris (Shailene Woodley) abruptly awakening in her Dauntless sleeping barracks to the sound of guttural wails. She and Christina (Zoë Kravitz) soon find Ed (Ben Lamb) with a knife protruding from his bloodied left eye. “Pull it out. Get it out!” he shrieks. Panic ensues as the group of recently slumbering young warriors struggle with what to do next. As Tris comforts Ed, who is gasping for air, she looks up to find a suspicious character stepping out from the shadows: Peter (Miles Teller). Divergent is now available in digital HD, and the Blu-ray/DVD combo pack goes on sale Aug. 5. 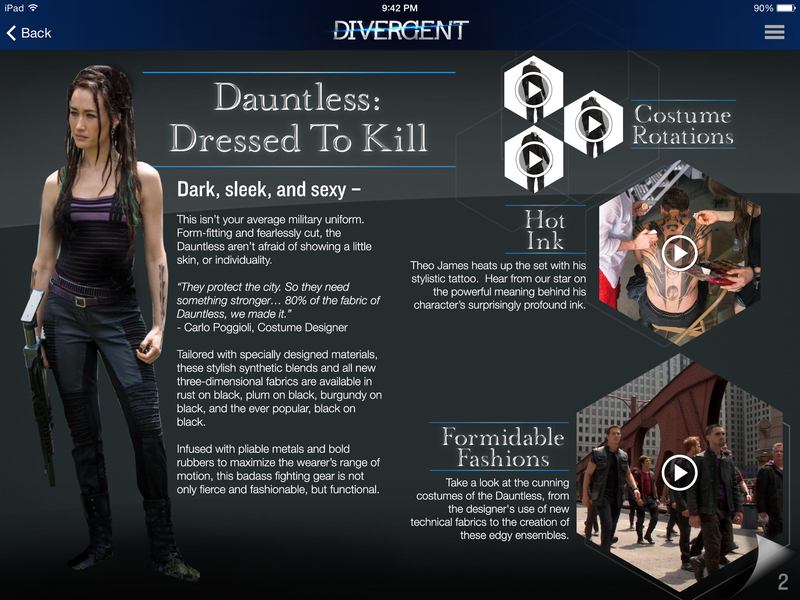 Download the DIVERGENT iPad App- Features Exclusive Bonus Material! If you are an Initiate that owns an iPad you are in luck. The DIVERGENT iPad App that has hours of bonus material that can’t be seen/experienced anywhere else. 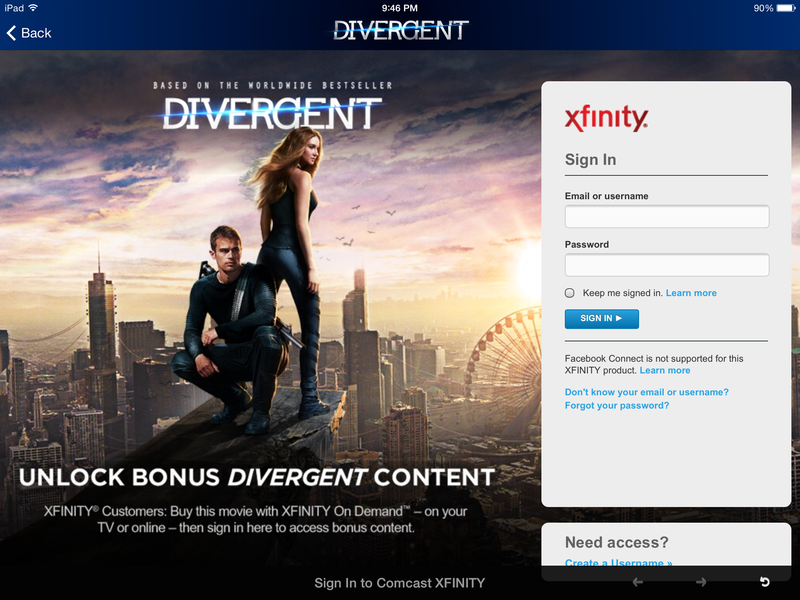 The iPad app is free to Divergent fans in the iTunes store and for Xfinity costumers who purchase the the Digital HD film via Xfinity On Demand, they will receive additional bonus content not available anywhere else. The app is now available in the store and as of tomorrow will include the additional content for Xfinity costumers. All told it’s a pretty amazing amount of material that isn’t offered anywhere else and will allow fans to interact with the film in a unique and unprecedented way. Making Divergent – See key scenes from the movie come together as if you were on the Chicago set, as cameras unveil the action from multiple angles while the film’s cast and crew narrate the action. 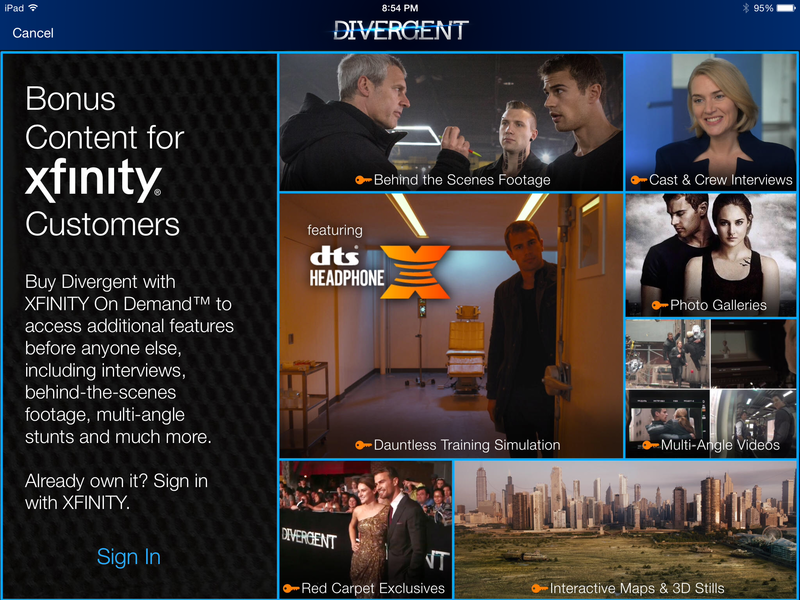 Combined, the Divergent app’s free features and Xfinity premium experience comes to over seven hours of interactive content. Theapp will continue offering fans first-looks and exclusives for the entire trajectory of the franchise. Beginning with the next series installment, Insurgent, opening worldwide on March 20, 2015, the app will debut content from the theatrical release through the home entertainment window, offering fans a one-stop destination for Divergent news and content. Walmart has revealed an exclusive clip from the Divergent DVD that they will release. The video features our Four, Theo James. The Divergent DVD will be available on August 5th. Categories: Divergent DVD, Divergent Movie, Divergent News, Theo James | Tags: divergent dvd, divergent movie, theo james | Permalink.